Colossians 3:1-2 “Since, then, you have been raised with Christ, set your hearts on things above, where Christ is, seated at the right hand of God. Set your minds on things above, not on earthly things”. Forgiveness is power and it is a culture in this Kingdom. Jesus our perfect example models this attitude to us over and over again while he was here on earth. Forgiveness gives you more mental energies which can be applied elsewhere for something greater. It does not matter the nature and number of times of the offence. Jesus our perfect example instructs us to forgive always. Matthew 18: 21-22 “Then Peter came to Jesus and asked, “Lord, how many times shall I forgive my brother or sister who sins against me? Up to seven times?” Jesus answered, “I tell you, not seven times, but seventy-seven times”. Forgiveness is continuous and God expects that we should walk in that consciousness on the earth. 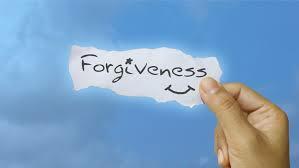 It is necessary to do this because our being forgiven by God is directly proportional to our forgiveness of others. Mathew 6:14-15 “For if you forgive other people when they sin against you, your heavenly Father will also forgive you. But if you do not forgive others their sins, your Father will not forgive your sins”. We may not be able to control the offence or the offender but we certainly can control our attitude and reactions towards them. We are called to a more superior lifestyle so get rid of every anger, rage, malice and slander (Colossians 3:8)Nothing is worth losing your peace over, let it go. Look at the amazing story of Joseph and how he forgave his brothers despite their jealousy and selling him off to a strange land. He could have dealt with them in that same coin but he rather chose to forgive them because he understood that all they did was also part of God’s plan to bring him to the point of authority where he later found himself. Genesis 50:19 -21 “But Joseph said to them, “Don’t be afraid. Am I in the place of God? You intended to harm me, but God intended it for good to accomplish what is now being done, the saving of many lives.So then, don’t be afraid. I will provide for you and your children.” And he reassured them and spoke kindly to them”. Are you being treated unfairly or unjustly? Do not be bitter. Have men gathered to lie and destroy you? Do not despair. All things will work out for your good and what they mean for your evil, God will turn it around for your good. Irrespective of what evil men have done to you; forgive. It is the culture of our Kingdom.